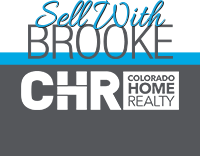 Enjoy the comforts of this fantastic two-story home near the Denver Tech Center. The spacious open floorplan of the main level boasts a beautiful kitchen, complete with granite countertops, gas cooktop, double ovens – and opens to the dining room and family room. A bonus room with an abundance of natural light is an excellent office space or spare room. The second level features a conveniently located laundry room, as well as three bedrooms and two bathrooms, including the master suite that offers a gorgeous gas fireplace and an en-suite, five-piece bathroom. The basement has been thoughtfully finished with a modern yet comfortable feel. Among the many updates is a recently replaced roof and newer carpet throughout. An inviting backyard is a wonderful space to entertain or simply relax under the retractable awning and the playhouse is included. To top it all off, the proximity to the Cherry Creek Trail is an outdoor enthusiast’s dream!